Andre Drummond has become an absolute monster, and his Pistons are a team to be reckoned with. If Drummond keeps up his early play through this season, he will be in discussions for Most Valuable Player. Largely because of Dre, the Detroit Pistons may be the most powerful block to Boston's path to the Finals. His scoring (14.3 PPG), rebounding (15.2 RPG), blocks (1.5 BPG) and steals (1.2 SPG) are similar to last year's numbers. Drummond spent all offseason working on his free throws, which has culminated in an improvement of 23.2% from the free throw line to date (61.8% from 38.6%). He’s gone from being the league’s worst free throw shooter to a very capable one, which has restricted all but one team (Boston Celtics) from intentionally fouling him. The team who did intentionally foul him only elected to do so once. 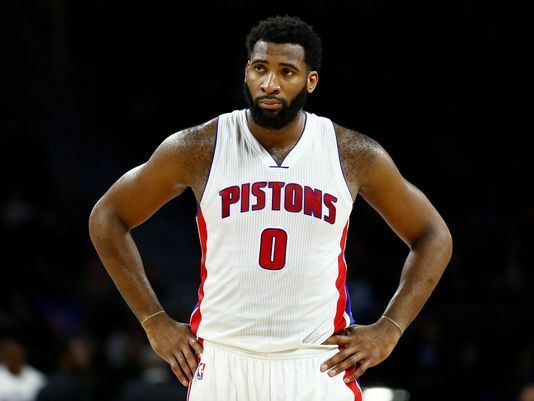 Then, there’s Drummond’s energy level and effort which have also seen dramatic improvements thanks to both an offseason surgery which repaired a deviated septum, and improved confidence in his game. If you add much-improved free throw shooting, passing and energy to a 6'11"/280-lb. powerhouse, you know that as a rival, you have a problem on your hands. Andre is now moving away from the basket, working often from the elbow and getting the ball inside to his teammates. Tobias Harris, Avery Bradley and Reggie Jackson are frequently at the receiving end. And the Hack-A-Dre no longer works at the end of close games. He is making the freebies. Andre Drummond is the 1st visiting player with at least 25 points, 20 rebounds and 5 assists in Boston since Wilt Chamberlain in 1967. The Celtics are 18-4, while the Pistons are in second place in the East with a 14-6 record. With his improved free-throw shooting and passing, Andre has diversified his game, and he may not be finished. Extending his shooting range may be the next goal. Defending him is no longer simply a physical battle. He has improved and refined his game such that, with his physical size and strength, Brad Stevens, the Master Strategist, needs to come up with a strategy and appropriate defenders to counter what Drummond brings to the game. I hate to think what the Celtics would be facing if he develops a three-point shot.